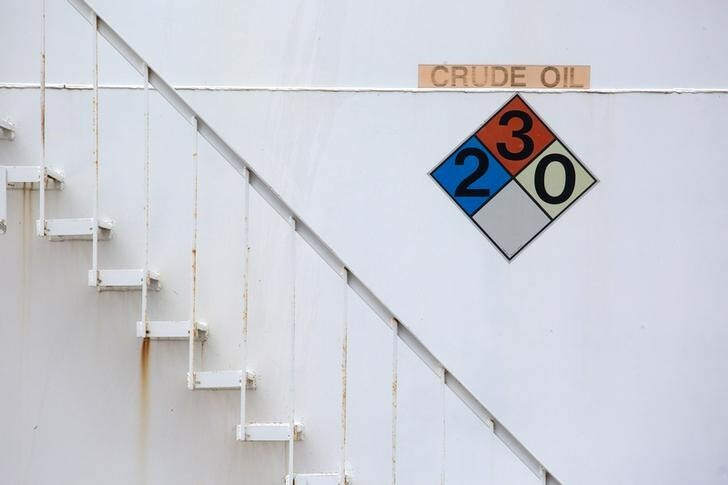 Investing.com – Oil traders will stay focused on a host of bearish factors currently affecting the crude market in the week ahead, after prices suffered yet another weekly loss last week. posted its seventh straight weekly drop on Friday, marking its worst losing streak in three years, falling 2.5%. , the global benchmark, meanwhile suffered its sixth week of declines in seven, sliding 1.3%. Worries that oversupply would weigh on the U.S. market and that a trade dispute between the United Stated and China would slow economic growth and hurt demand for oil have been at the forefront recently. Traders said the demand outlook for oil was also dimming due to economic trouble in potentially spreading across emerging markets. Reports of faster supply increases from major global producers are also putting downward pressure on the market after the Organization of the Petroleum Exporting Countries (OPEC) and other oil producers led by Russia agreed in June to ease production curbs to make up for lost supplies out of Libya, Venezuela and Iran. The deal effectively increases combined oil output by 1 million barrels per day (bpd). In another worrying sign, U.S. energy companies have started to ramp up production in recent weeks, pointing to indications of U.S. output growth. The U.S. rig count, an early indicator of future output, was unchanged at 869 last week, the highest level since March 2015, according to oilfield services firm Baker Hughes. Despite these worries, the market will likely draw support from the introduction of U.S. sanctions against , which from November will include oil exports. Iran’s output was the lowest since April last year at 3.75 million bpd, with buyers in Japan, South Korea and India already dialing back orders. Ahead of the coming week, Investing.com has compiled a list of the main events likely to affect the oil market. Fresh weekly data on U.S. commercial crude inventories on Tuesday and Wednesday to gauge the strength of demand in the world’s largest oil consumer will capture the market’s attention. Market players will also focus on weekly rig count data for further signals on how fast U.S. output levels will continue to rise. The American Petroleum Institute is to publish its . The U.S. Energy Information Administration will release its . Baker Hughes will release weekly data on the .